A Michiko Kakutani, del New York Times, non è che “Falling Man” sia piaciuto molto. Anche se è il nuovo romanzo di Don DeLillo. Anche se parla dell11 settembre. Anche se l’Espresso l’aveva letto in anteprima. 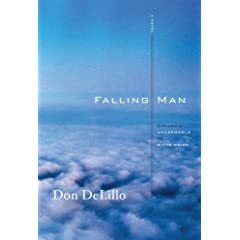 Instead of capturing the impact of 9⁄11 on the country or New York or a spectrum of survivors or even a couple of interesting individuals, instead of illuminating the zeitgeist in which 9⁄11 occurred or the shell-shocked world it left in its wake, Mr. DeLillo leaves us with two paltry images: one of a performance artist re-enacting the fall of bodies from the burning World Trade Center, and one of a self-absorbed man, who came through the fire and ash of that day and decided to spend his foreseeable future playing stupid card games in the Nevada desert.